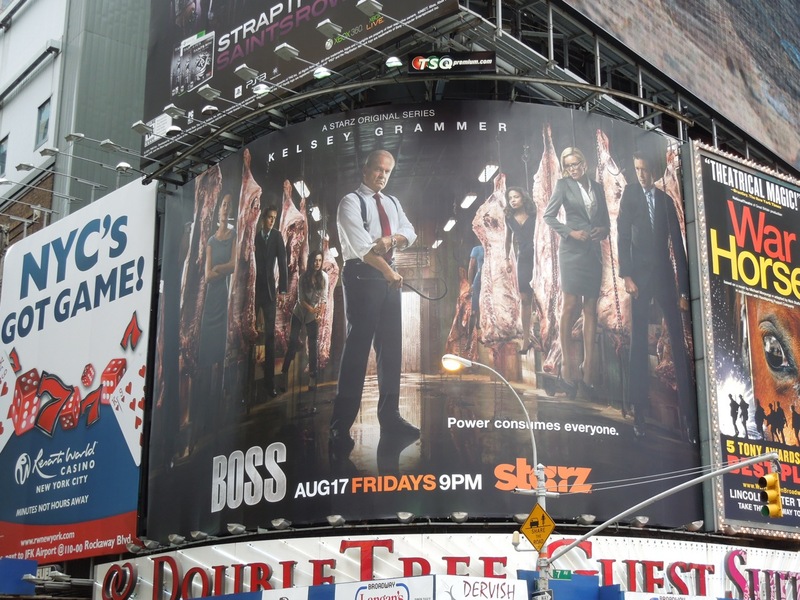 Kelsey Grammer certainly looks like he's the big bad Boss in these second season billboards for his Starz drama series, as he rolls up his sleeves and prepares to get down to business. 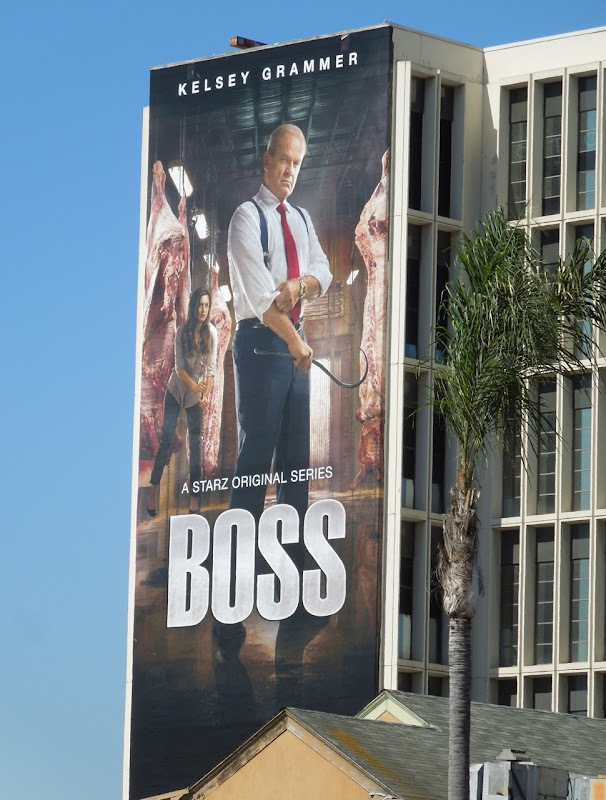 And if his fictional Mayor of Chicago looks a bit smug and in control, maybe it's because the veteran actor won a Golden Globe earlier this year for his performance as 'Mayor Tom Kane'. 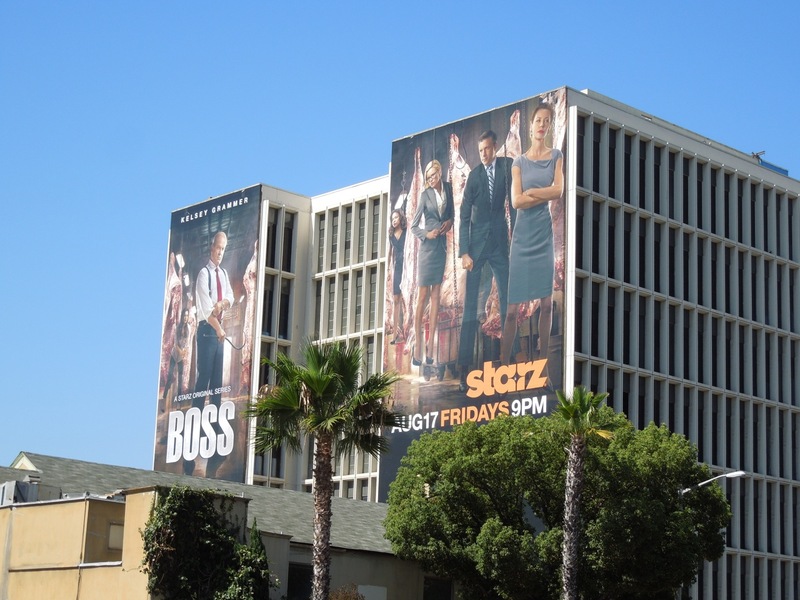 For his sophomore season he'll have to continue to battle his degenerative brain disease, take on the corruption in his city, manage his political marriage of convenience and by the looks of these billboards, be as ruthless as ever. 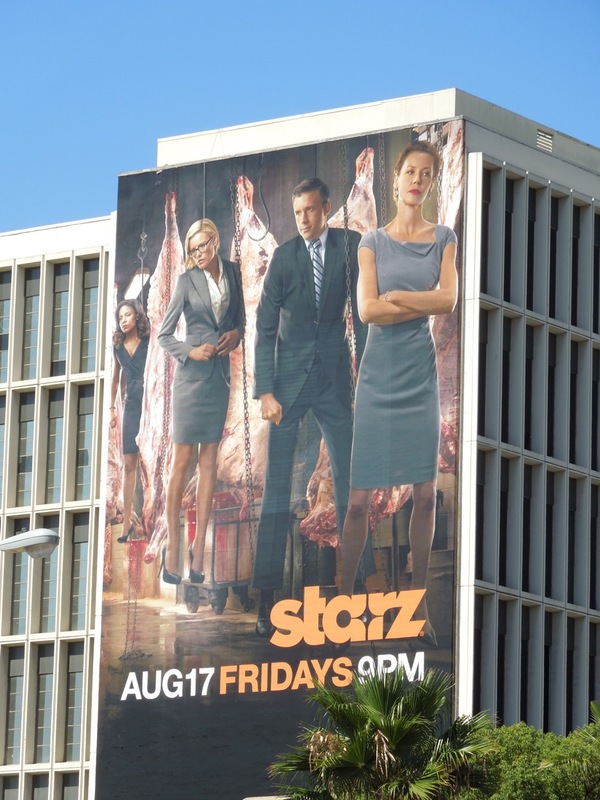 The slaughterhouse creative really is quite arresting, but it's also a bit grim. 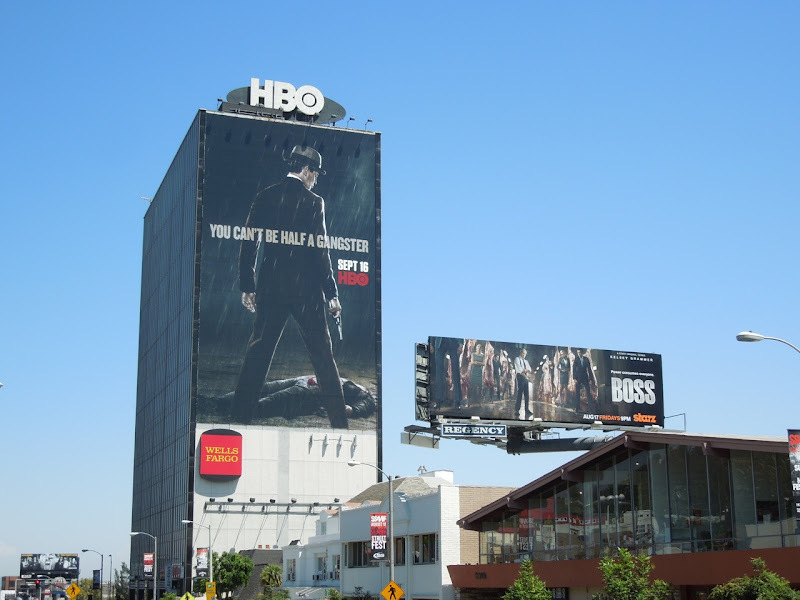 When you couple it with the equally foreboding billboard teaser for Boardwalk Empire's third season along L.A.'s infamous Sunset Strip, it seems like there are dark times ahead for this coming Fall season of drama. 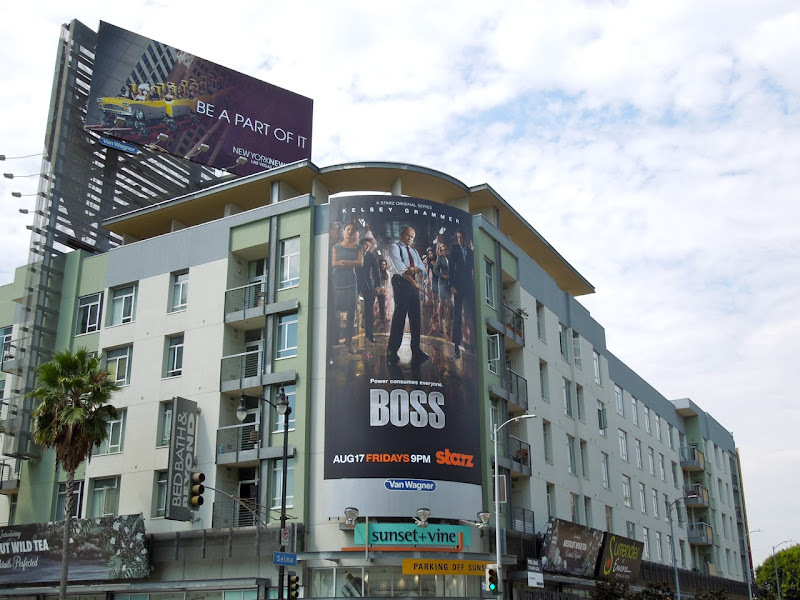 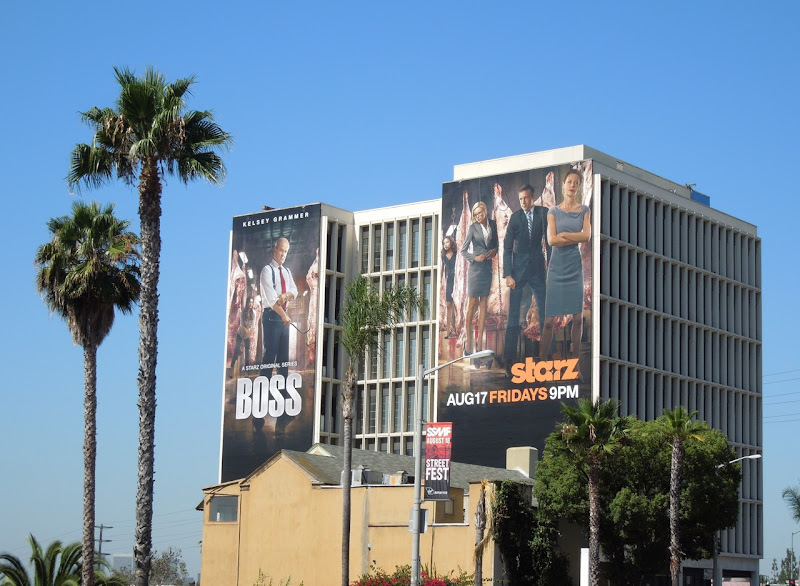 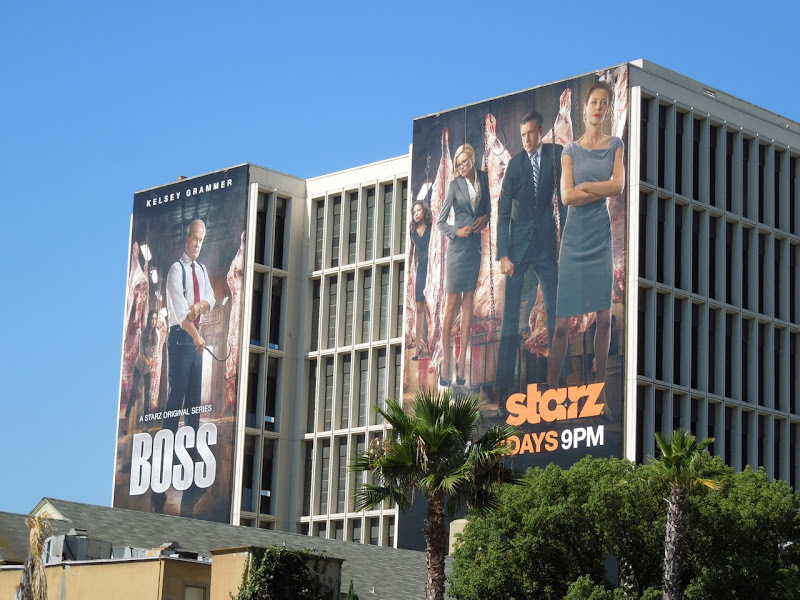 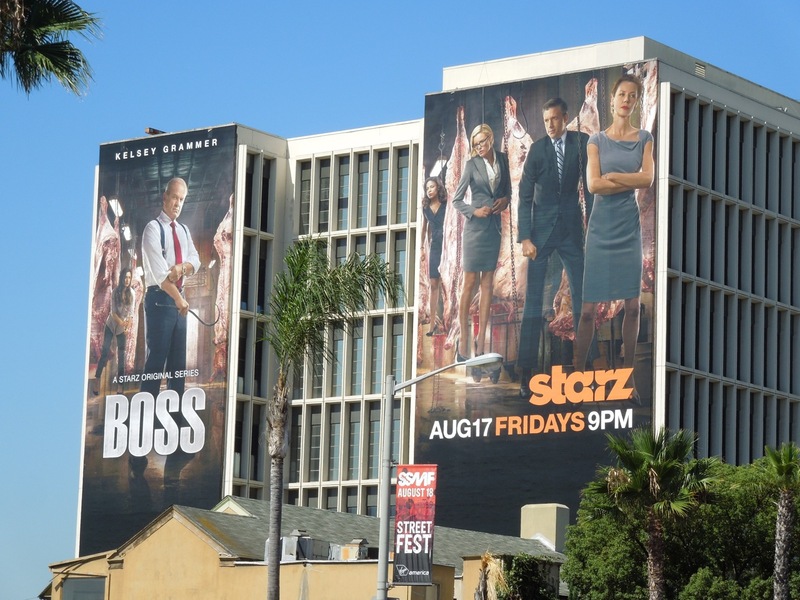 This duo of super-sized billboards for the second season of Boss was photographed along Sunset Boulevard at the top of La Cienega Boulevard on August 9, whilst the standard landscape billboard was captured further west on August 6, 2012. 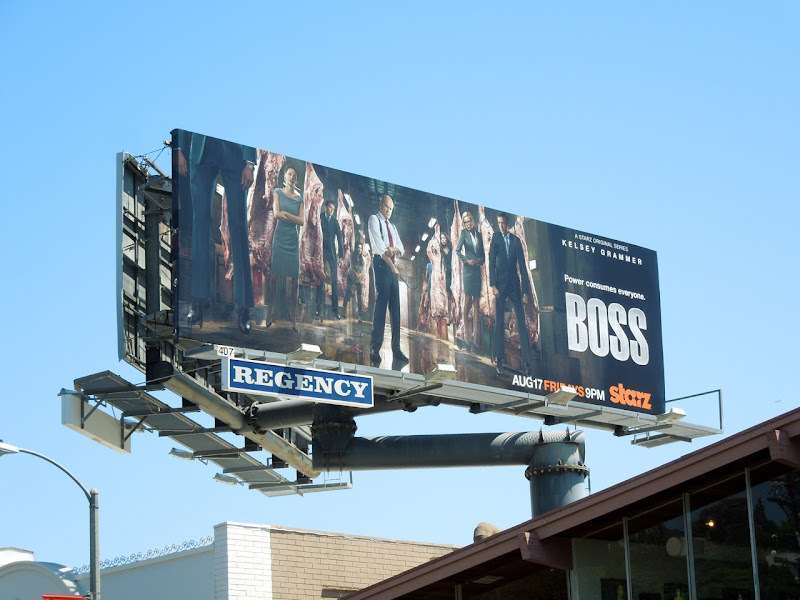 If you're a fan of the critically-acclaimed series (desperately in need of more viewers for its second year), be sure to also check out these Boss season one billboards from around L.A. and New York City. 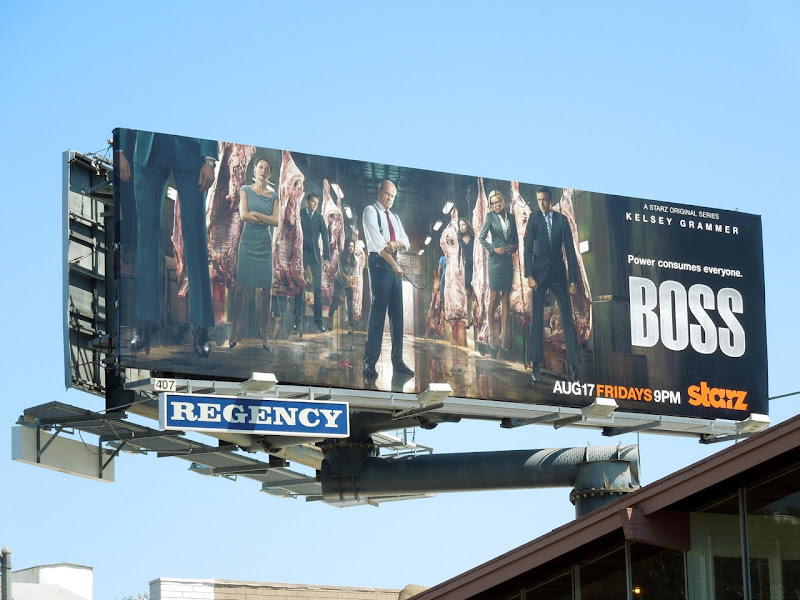 UPDATED: Here's another version of the season two billboard snapped at Sunset & Vine in Hollywood on August 17, 2012. 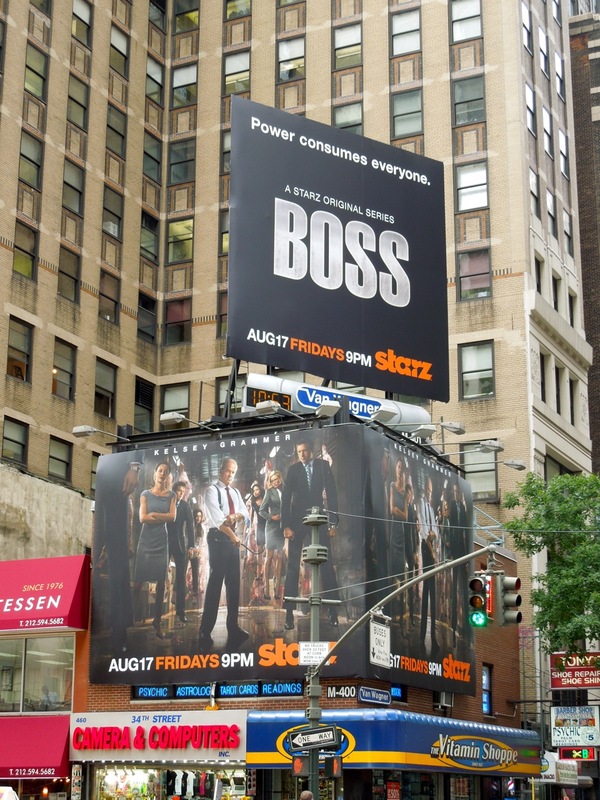 UPDATED: Daily Billboard was recently in New York City and spied these billboards for the sophomore season of Boss on August 28, 2012. 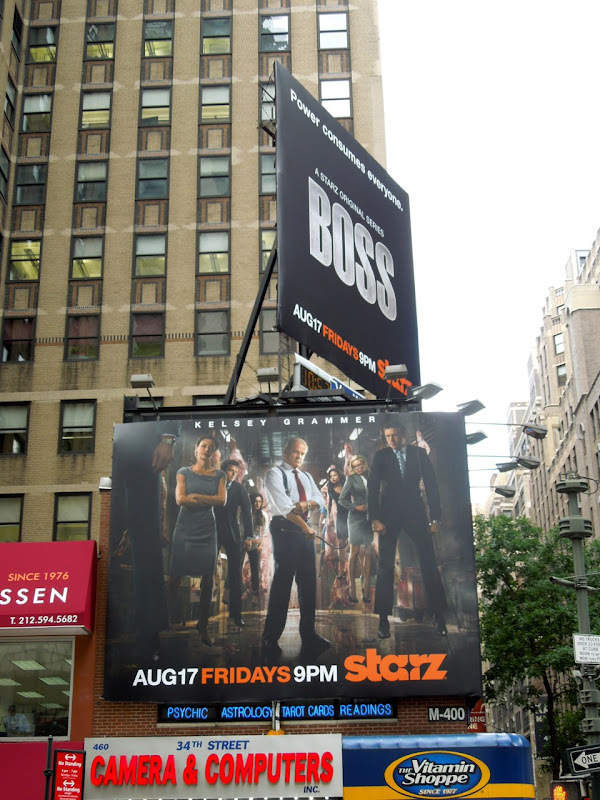 This first ad is from Times Square and the other collection of billboards was spotted at the busy intersection of 7th Avenue and West 35th Street.